All proceeds go to prizes. There will be prizes for 1st – 4th places, two closest to the pin contests, and a long drive for both men and women. 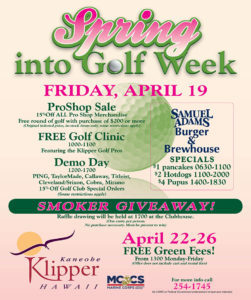 This is a great opportunity to enjoy a round of golf with friends and colleagues. Speak with the PING representative. See the latest PING equipment.